Science is Vital – a letter from my MP. He actually uses the phrase “Science is Vital” – which can’t be bad. 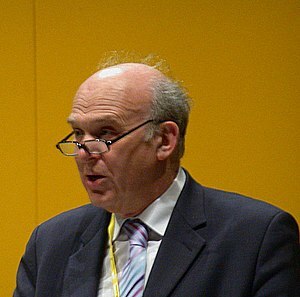 – this depends upon what the government’s definition of “excellent” is – is it Vince Cable’s 54% for example? In which case – much of UK research is for the high jump. He does make the point that science is an “important driver of economic growth” – which is good – and that a supply of technically skilled staff from UK universities is required to support STEM based industries. However – if the big cuts are made to the UK science and higher education budgets, that supply of technically skilled graduates will dry up. On the whole, quite encouraging – but I’ll still be watching closely on October 20th with one eye on the overseas jobs market. In which I get all huffy about Vince Cable‘s speech at QMUL this morning & his appearance on the today program. Which is obviously where Mr Cable gets his “54%” figure from, and I am guessing, the “45%” figure (I can’t find anything else that matches). Research that is “recognised internationally in terms of originality, significance and rigour” is not excellent? Sounds pretty excellent to me. Conflating said internationally recognised research with research that “falls below the standard of nationally recognised work” hardly seems fair and scrupulous. This is cherry-picking on a par with the homeopaths, and is no basis upon which to decide funding for the already cash-strapped UK research sector. I shall await the budget on October the 20th with one eye on the overseas science job market. You are currently browsing the Anomalous Distraction blog archives for September, 2010.